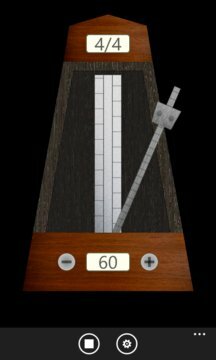 This is a simple free metronome app. - To change the tempo by tapping or holding the '+' / '-' button. - Tempo range: 40 - 208 beats per minute. - Select time signature in settings. - Settings are automatically saved.